In 1996, when Nada Surf toured alongside Superdrag, Matthew Caws met John Davis. Since then, Caws has ridden the Nada Surf wave of eight studio albums and a cult following. And after Superdrag dissolved, came back in 2009 with Industry Giants, and then ended for good in 2014, Davis turned his efforts towards his shoegaze trio Lees Of Memory. 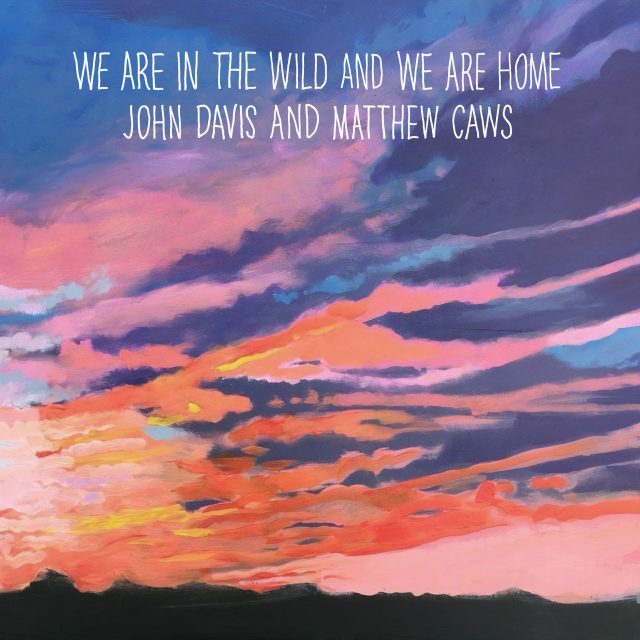 The two indie rock vets crossed paths back in May after a Nada Surf tour wrap in Nashville and decided to join forces on a particularly upbeat one-off called “We Are In The Wild And We Are Home.” They’re self-releasing the single tomorrow with all proceeds going to Americares. Produced by Mike Purcell with Andy Herrin on drums, the track radiates positive vibes. 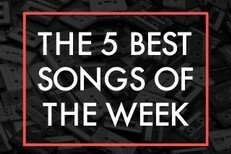 It’s a meld of sitar instrumentals, gushy lyrics, and a bounding, fuzzy build-up. John’s an old friend. I’ve been a huge fan of his ever since we toured with Superdrag in 1996. I’ve been wanting to write a song with him for years. We finally talked about it after a Nada Surf show in Nashville last May. It was the last show of the tour and I was going to stay in town for a few days. The next morning I got this text: “Hey man, something you said the other night sort of sent me off in a direction, I’ve definitely got an idea going… with a Jaguar guitar tuned in unison and a cloud of harmoniums and tanpura drones and a sitar doubling your vocal melody… and a lyric about keeping negativity out and radiating love out into the Universe. In the key of D.” Two evenings later, we got together at County Q Studios with drummer Andy Herrin and producer Mike Purcell. John showed me the opening verses and they felt great. We finished the song together in a couple of hours. Andy went in and laid down that motorik beat, John built a bed of drones with Indian instruments and we were off. We were done by 2AM. It was a really magical and positive experience. Matthew and I go way back, all the way back to the Summer of 1996, when we both had Buzz Clips and both had the same A&R. We did a good amount of touring together with Superdrag & Nada Surf all over America; we even rode around the UK together for a while, in a little Sea World bus with round windows. But we never got around to working on any music together until recently, when Nada Surf’s tour wrapped up here in town and he wanted to hang out for a little bit to do some writing. I showed up at County Q (Pete Drake’s old place) with a verse ready and sort of a guiding principle I could already hear in my mind, and we just took it from there. Nothing could be easier! Matthew is a joy to be around, my friend Andy (Herrin) came in and crushed the drumming, Mike Purcell engineered and mixed, the whole session was a blast from start to finish. I really like the positive vibes. And I really like the odd juxtaposition of the Bluegrass imagery of “walking down the tracks” and “whispering through the pines” with this Krautrock/Raga Rock backing that eventually ends up evoking both Nada Surf AND Superdrag. Fun times! I’d do it again in a heartbeat. Listen to “We Are In The Wild And We Are Home” below. “We Are In The Wild And We Are Home” is out 1/4.